Thank You for Supporting Wolf Education! In our beautiful interpretive center in Ely, Minnesota our wolf educators teach children and adults wolf biology and behavior through our daily and special programming. Our outreach coordinator has presented over 500 classes Wolves at our Door programs to K – 12 students in the Twin Cities and surrounding areas. Our Ely educators use Zoom technology to do distance learning programs for students all over the country. Our gorgeous International Wolf magazine is full of the latest topics in wolf biology around the world. Boy Scouts and Girl Scouts alike can earn badges at special programs tailored for them. 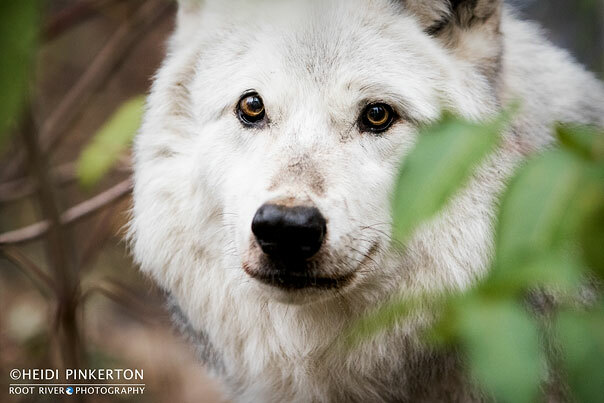 YOUR donations and memberships keep the information flowing and allow us to advance the survival of wolf populations by teaching about wolves, their relationship to wildlands and the human role in their future. If you have any questions, feel free to call Marnie at 763-560-7374 ext. 228 or contact her via email. Your gift to the International Wolf Center could be matched dollar for dollar (or more) by your employer! Over 2300 employers sponsor matching gift programs and will match any charitable contributions made by their employees, retirees and/or employees’ spouses. To find out if your company has a matching gift program and double the impact of your donation, simply click on our easy to use Matching Gift button! The International Wolf Center is a 501(c)(3) organization.